Arrive in Enna: Panoramic views, historic fortress and cathedral. Enna (Villadoro) to Gangi: The Route Manager will take you either to the main square in the town of Villadoro (where you can walk uphill on asphalt to the starting point of the route), or directly to the beginning of the route, from where the path leads to the dramatically situated town of Gangi. Ancient drove roads across gently rolling hills with views to Mt. Etna (9 or 11.7 miles, 5 or 6 hours). Lovely house in the village with glorious view of the valley. Gangi to Geraci Siculo: Time for relaxing or a visit to Gangi (3.8 miles, 2 hours), before walking on. Paths across farmland lead to the route of an ancient road to the hill-top village of Geraci Siculo, with its ruined Saracen castle, Saracen fountain and picturesque alleys (7.2 miles, 4.5 hours). Geraci Siculo to Pomieri: Paths through open mountain meadows with extensive views lead into the wildness of the Madonie Mountains – a National Park (8.9 miles, 5 hours). Family run, centrally located guesthouse. Pomieri to Isnello: A choice of routes leads to a pass, which then descends though inspiring scenery, past a Nature Reserve with fallow deer and wild boar, through meadows and woods to the hill village of Isnello (11.5 miles, 7 hours – mostly downhill). Luxury, seaside hotel with pool in terraced gardens - lovely views. Isnello to Cefalù: After a short descent and stream-crossing, farm tracks lead up to a ridge and pilgrim church with panoramic views – the sea! An ancient pilgrim path then leads down through woods and meadows, olive groves and vineyards; and through scrub to lemon groves, Cefalù and the sea (11.4 miles, 7 hours). Free day in Cefalù: Explore the picturesque ancient streets and fishing port of Cefalù, its magnificent Romanesque cathedral, and the massive buttress of rock above the town, with paths to prehistoric, Phoenician Greek, Roman and medieval sites and fortifications, and spectacular views. Good beaches for swimming. Departure day. If you would like an extension booking at either end of your trip please indicate this during the booking process and we will contact you with pricing information. Walking in Sicily along this route involves drove roads, dirt roads, mule, mountain and rough animal paths across rolling hills and low mountains. The fitness rating of this trip is Grade 3-4. Cuisine in Sicily relies on what can be easily grown or gathered. Species of Arabia lend sophistication. Mountain areas produce lamb and cheese; the plains, coast and volcanic soils of Mount Etna produce superb vegetables and subtropical fruits. Great variety of fish from the Mediterranean. Sicily (with Puglia) is the largest producer of wines in Italy, which are improving: excellent Rosso del Conte red and Nozze d’Oro white. Did Footloose in May. Highly recommended. Rich history, abundant wildlife, friendly locals, good weather, interesting food. Up there with the Cevennes! The wildflowers and butterflies were fabulous - a great time of year to visit. Sicilians were extremely friendly and welcoming. Everything went very smoothly for us. We thoroughly enjoyed our holiday and were extremely happy with all the arrangements. Highlight for us was our reception at Hysnara Hotel (the restaurant). We had an amazing meal based on local mushrooms and the breakfast the next day was outstanding. The accommodation was more basic on this trip than on other routes but we didn't mind as it was comfortable, the welcome was always very warm and we were able to enjoy a very unspoilt, incredibly beautiful part of Sicily. Our first trip with ATG. Totally wonderful. Hit it perfectly for the flowers. Each day was different walking - meadows, woods, high hills, farmland etc. Unseasonably hot but very manageable. Saw very few people apart from the odd farmer until the evening stops. Great food, you won't lose weight!! Some nice places to stay. Route Manager Alessia was a delight and so knowledgeable and helpful. Cefalu was a very nice way to relax and sightsee. Wished it had been longer. Highly recommended. Walked in peaceful environment with lovely spring flowers and animals that did not intrude. The wild horses were a special unexpected delight. Great variety of terrain and accommodations. Even though we had a route, it felt as if we were exploring. Very varied and interesting. Flowers splendid on both occasions (we were earlier in the year on 1st occasion). Lovely to be warmly greeted on return to apartment in B+B Madonie Isnello. We have now done this itinerary twice - and much enjoyed it both times. It would be almost impossible to organise such a great walk independently- the investment of time and local knowledge creates a great product. Carmelo was an extra plus for this trip, he loves the region and it shows. The distances between places were just right. The route took us to small towns we’d never otherwise visit. It was nice to finish with a day at the seaside, in an interesting town. Very interesting route and good introduction to unfamiliar region. I liked the variation in accommodation. I enjoyed having local food, especially cooked by the owners of the B&B’s. can be very cold in the mountains where you are over 3,000ft – come prepared at all times. 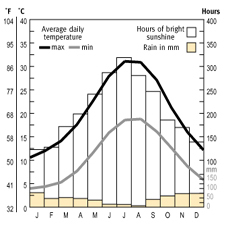 Otherwise, expect the spring to be warm, June to September hot and thereafter, cooler. October sometimes has storms. The fitness rating for this tour is Grade 3-4. The walking in Sicily is fairly demanding due to the varied terrain and length of walks. It is not technically challenging however. You cross high grassy uplands between 3,500 and 5,000 feet before descending to sub-tropical vegetation on the coast. There are rolling hills, scrub and grassy meadows with rocky outcrops and fairly dramatic mountain scenery. and keep the paths as clear as possible! There is a small section of the route that could possibly be vertiginous but an alternative route can easily be taken. This is an 8-day trip, with walks offered on 5 days. The walk lengths vary from 4.5 hours to a maximum of 7 hours walking. Hours of walking, which may vary from individual to individual, means hours of actual walking and does not include stops for lunch, sightseeing, rests or siestas. On certain days the paths cross more rugged and exposed terrain – please make sure that your footwear provides sufficient ankle support and be sure to carry a compass in case of poor visibility on the day you are crossing the Madonie mountains. The recommended airports for this route are Catania and Palermo with one option being to fly into Catania, which is nearer to your first hotel and depart from Palermo, which is closer to your last hotel. However, this would be subject to flight availability as there are more flights via Catania. From Catania airport:From Catania airport buses are run by SAIS to Enna and Enna Bassa- timetables are available at www.saisautolinee.it. Tickets cost €8.00 and can be bought at the ticket seller Aeroporto Fontanarossa - Box SAIS Autolinee. The journey takes approximately 1.5 hours. Remember to enter 'Aeroporto Catania' as your starting point, not Catania. From Palermo airport: To take a bus or a train to Enna, firstly take the Prestia & Comandè bus to Palermo central station – buses leave every 30 mins from 5.00am until 10.30pm and cost €6.30. Journey time 50 minutes. From Palermo central station, buses are run by SAIS to Enna and Enna Bassa. Tickets cost €10 and can be bought at the ticket seller Agenzia SAIS AUTOLINEE - Piazza Cairoli, (Piazzale Stazione FS) Tel. 091/6166028. The journey time takes approximately 1.5 to 2 hrs. There is also a train service available approx. every 30 minutes from Palermo Airport to Palermo Central Station and then on to Enna from there – trains run approx. every 2 hours depending on the time of day.. For timetables or bookings see the Trenitalia website http://www.trenitalia.com. From Enna station, you can take a taxi to your first hotel - €15. 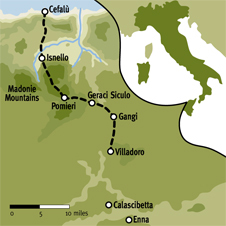 There are two stops in Enna - Enna Bassa and Enna Alta. Most buses terminate at Enna Bassa. From here take a taxi or local bus to Enna Alta. If your bus terminates in Enna Alta, tell the bus driver you wish to get off at Piazza Scelfo. From the bus stop in the Piazza Scelfo, cross the square and walk 500 metres up Via Roma (the main road) until you reach the Piazza Napoleone Colajanni. The hotel is on the RHS on the far side of the piazza. If your bags are very heavy you can get a taxi from Piazza Scelfo - the taxi stop is next to the church of San Francesco d'Assisi. Cost: €10. If your bus terminates in Enna Bassa: From here you can call a taxi to take you to your hotel Tel: Tim Guzzo +39 333 6194562; the transfer costs €15. Alternatively, you can take a bus. These leave approx every 20 mins to 2 hrs; take either the number 2, 5 or 6. You can buy your ticket at the BIGLIETTERIA near the bus stop. Tell the driver you need to go to Hotel Sicilia and he will try to leave you at the nearest stop. Your hotel is on the far side of a small piazza, ‘Piazza Napoleone Colajanni’. For bus times, check www.saisautolinee.it. We can book you a taxi to the first hotel. Taxis from Palermo to Enna cost from €150 (journey time 2 to 2.5 hrs)and from Catania to Enna the price will be approximately €90 (1 hr). Minivans cost extra. Sicilian cuisine is one of contrasts, simple peasant cooking and the richer, more exotic styles of the invading civilisations. Its varied style is also characterised by the intense and pure flavour of the local ingredients. The mild winter climate and long summers mean that the fruit and vegetables are less seasonal than in northern Italy. Aubergines, artichokes and peppers are often roasted over charcoal fires and sprinkled with garlic, olive oil and chopped parsley. tomato sauce and sweet and sour flavours. Fish is one of the glories of Sicilian cooking, it is prepared in every possible way including exotic fish stews and soups. local restaurants; the Route Manager will be able to book these for you if required. Sicily (with Puglia) is the largest producer of wine in Italy, and the wines are improving: excellent Rosso del Conte red and Nozze d’Oro white. There is also the well-known dessert wine Marsala. Due to its remoteness, WIFI and mobile coverage on this route are patchy. The first and last hotels have WIFI, all but one have hairdryers and all but two offer laundry service. The recommended airports for this route are Catania and Palermo with one option being to fly into Catania, which is nearer to your first hotel and depart from Palermo, which is closer to your last hotel. However, this would be subject to flight availability as there are more flights via Catania. From both airports there are bus connections to Enna. From Palermo the current journey time is approximately 3 hours, €16; from Catania 1.5 hours, €8. There is also a train service between Palermo and Enna (Journey time 1hr 40 mins, approx €9). Once you arrive in Enna you can either take a local bus or a taxi to the hotel. Taxis to the first hotel: From Palermo Airport ~€150 (journey time around 2.5 hours) ; from Catania Airport ~€90 (journey time around 1 hour). Prices may be significantly higher on Sundays and public holidays. Taxis can be booked via the ATG office. For more detailed information on reaching the route, see Frequently Asked Questions.